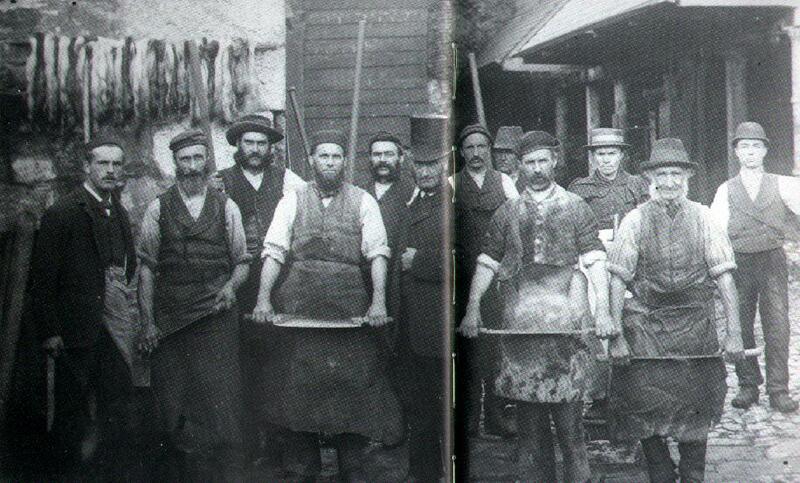 This one time prosperous firm of Hides, Skin & Leather, have been, without doubt, the most badly hit business in Helston. Not in anyway due to mismanagement or the incompetence of the owners, but through the changing conditions that they were powerless to prevent. The arrival of the motor car sounded the death knell of their business. It was inevitable that persons connected with this trade were to suffer considerably and many prosperous firms saw nothing but extinction facing them. I remember the old horse drawn `Dead Carts` with their sad loads. The operation of loading these vehicles was a process requiring quite a degree of skill. On one occasion, with my father, I followed old Mr. Hitchens into a loft where row upon row of hides were hanging down in the draught swaying about in a most impressive manner. The sight nearly scared the hide off me! 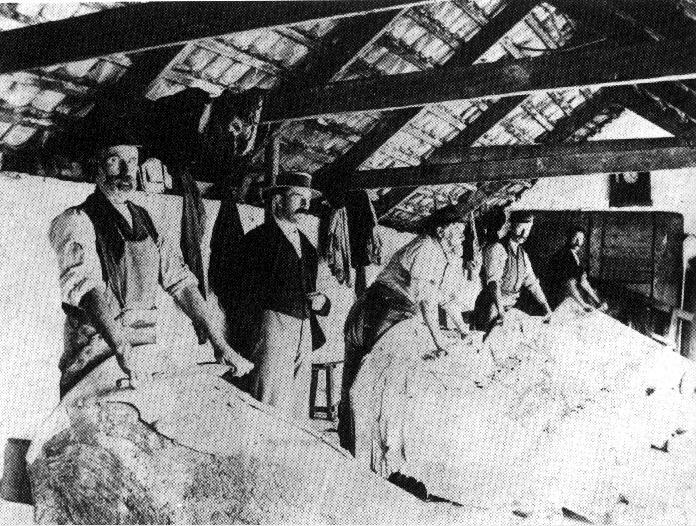 Connected with the business was the `Tanning` used in the processing of these hides and it was a custom to lay the old bark used in the tanning on the road outside a house in which there was severe illness. The object being to deaden the sounds of passing wheels and horseshoe clatter. The last application of this in Meneage Street was when the elder daughter of the late Mr. Oliver (Decorator) was so ill. I have since been told that the last lot to be laid in Helston was outside the home of Mrs.A.R.Thomas in Cross Street. In the centre of the photograph wearing the top hat is GEORGE JAMES CUNNACK. He died in 1911 at the ripe old age of 88!